A third generation pastry chef of a renowned pastry shop in Verona. Diverse international experiences. Collaborates with numerous Gelato and Pastry shops as demonstrator and consulultant. Alessandro, the son of a pastry-chef and now a pastry-chef himself, is heir to a long-standing tradition of pastry-making in Turin, Italy. 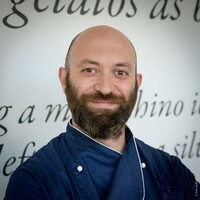 He has specialized in naturally leavened pastry, mignon pastry, chocolate making (technique and practice), gelato and semifreddo production, business organization and management and the HACCP set of problems. 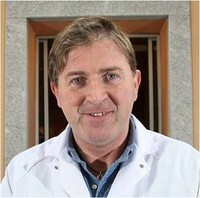 He has worked with Carpigiani for many years, achieving praise both in Italy and abroad. 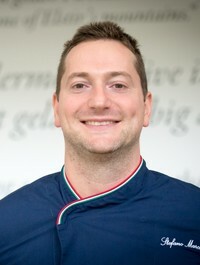 Director of Carpigiani Gelato Pastry University since 2015, Alessandro coordinates the instructor team and the course operation. Consultant and experienced trainer in business reorganization, negotiation, marketing strategies, coaching and in decision-making. 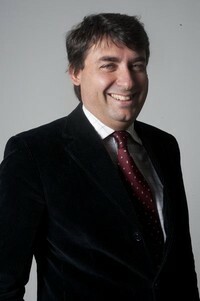 He is partner and managing director in Risorsa Uomo. Partner in Neoexperience. Alice Vignoli has been collaborating with Carpigiani Gelato University since she was young. After learning all the secrets about gelato thanks to the work experience in the family business, in 2006 she officially began her career as a Gelato University Instructor. In 2010 she started providing advice on gelato business concepts, helping students who want to become gelato entrepreneurs, both in Italy and abroad. Thanks to this experience, since 2014 Alice has been teaching retail profitability within the Basic course program and is now the School’s Retail Coach, available to students also in their post-training period for the conception of their gelato shops business plan. Passionate about Art as the highest expression of sensitivity, Andrea approached years ago its ultimate sweet expression: pastry. Thanks to important work experiences in Spain with some of the greatest masters and visionaries of the culinary art as Paco Torreblanca, Ferran Adrià and the Roca brothers, and a lot of study and research trips in France and Italy, he was able to develop a vision of pastry in constant evolution. 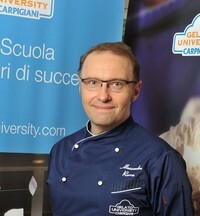 Recently he started a pastry shop in Rome and now collaborates regularly with Carpigiani Gelato University. Andrea Fiori has been living in the pastry world since he was a child thanks to the family business. After learning the basics of pastry from his father he started experimenting with curiosity and passion new processing techniques and technologies. Today he is an affirmed professional and successful entrepreneur, consultant for prestigious Italian pastry realities and teacher at Carpigiani Gelato University. 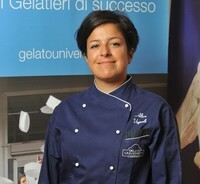 Carpigiani instructor since several years, Arianna Silva is in the gelato world since she was young. She has always been dedicated to the family gelato shop, to become today the director of her own artisan laboratory. chance to serve his Gelato to the King and Queen of the Netherlands. Nowadays, Bas co-runs a Gelateria in Antwerp. In december 2015 he proudly joined the Carpigiani teachers team. 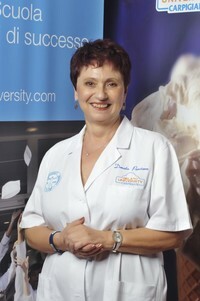 She comes from a renowned family of gelato chefs, one of the pioneers who first started their business in Vienna. She collaborates with some sector magazines and she has published some valued articles about the gelato art, outstanding because of the accurate research about raw materials. Artisan Gelato Ambassador in Japan, she opened successful gelato shops throughout the country. Francesco Boccia began as a pastry chef and then he decided to specialize as a chocolatier . Although his young age , he has a rich palmares of prizes among the most prestigious ones, like the pastry world championship obtained in 2015 in Lyon . Since that year Francesco Boccia is also a member of the Accademia Maestri Pasticceri, academy who gave him the gold medal for acquired merits . 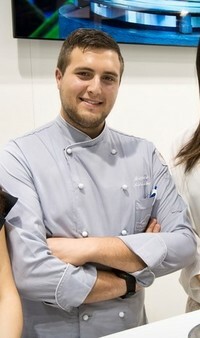 He currently works as a pastry chef in Italy and abroad and he’s collaborating with Carpigiani from 2013, pursu for which he pursues pastry courses and chocolate. Instructor at Carpigiani Gelato University in Brazil, Frederico Samora is a gelato and pastry chef of Italian and Spanish origins. 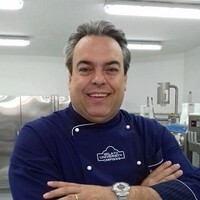 He has developed his family’s traditional recipes since 1991, working as a consultant for several artisan gelato shops in Brazil. 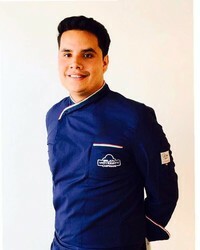 Thanks to his experience Frederico has represented Brazil in 5 editions of the Gelato World Cup in Rimini (Italy) and in many others contests and challenges where he stood out for his technique and expertise. 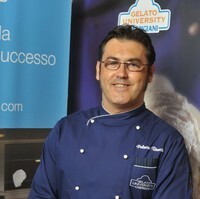 This year Frederico Samora has become Ambassador of the Gelato World Cup in Brazil. 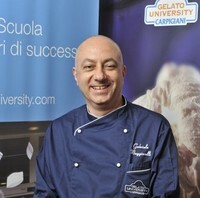 Gabriele Maggiorelli, teacher at Carpigiani Gelato University, has worked in the gelato sector for 25 years. He works as a consultant for new gelato shops openings throughout the world. He is as well laboratory supervisor for events such as the Gelato World Tour and the Florence Gelato Festival (2012 edition). Gianpaolo comes from the province of Lecco and he is an established food technologist specialized in frozen dessert science and technology. He has collaborated with Carpigiani as managing director of the Office for Studies and Education and has later worked as product coordinator for another company in the frozen dessert industry. Today he still teaches courses at gelato University and works as a consultant in the field worldwide. 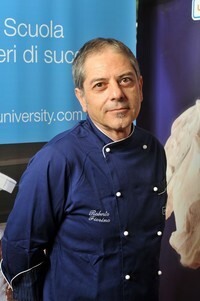 Giuseppe Piffaretti is a renowned pastry chef, baker and gelatiere, known for several years on the international stage. He began his career in Switzerland, where his famous bakery and pastry shop "La Bottega del Fornaio" is located. He became the first Swiss instructor of the prestigious school Ecole Nationale Supérieure de la Pâtisserie in Yssingeaux (France), known as the best pastry school in the world. He participated in the Pastry World Cup in Lyon in 2015 and he won the Silver medal thanks to his gelato cake. 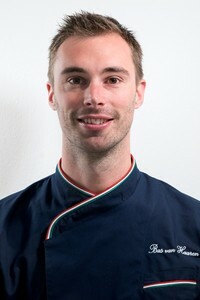 He also took part in many editions of the Gelato World Cup in Rimini, winning two bronze and a silver medal. Today he works as a consultant and demonstrator and is also a very appreciated teacher thanks to his profound knowledge and experience in this field. he has opened his own Gelateria in 1998. 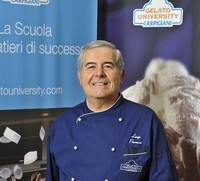 Today he is a Carpigiani Gelato University instructor and offers consultancy all over the country. Graduate chef and pastry chef in Colombia, Juan Buitrago has been collaborating for years with ArteGel Italia as official chef. In recent years he has learned all the secrets of Italian gelato and contributed to the development and opening of a number of gelato shops in Colombia. At the same time he is taking every opportunity to collaborate with the best pastry chefs in the Americas such as Antonio Bachour and maître chocolatier José Ramón Castillo, as well as with the main companies in the bakery and gelato industry. He is from Padua, Italy. After a work experience in Spain and France, he opened Pasticceria Marisa (Marisa Pastry-shop). 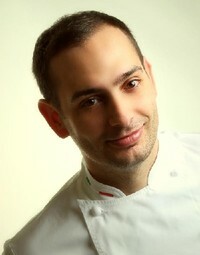 He is a member of the Italian Maestri Pasticceri (pastry-chefs) Academy. Among the numerous awards he received, the bronze medal won at latest World Pastry-Making Championship. Luciano Ferrari has worked in the frozen dessert business for about 30 years. He ran his own gelateria in Italy and later a wholesale gelato business abroad. Luciano has spent a significant number of years formulating and teaching courses and seminars for Carpigiani worldwide. 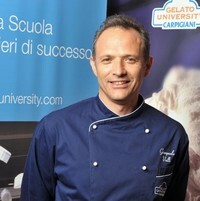 Today Luciano is recognised as one of North America's top frozen dessert professionals, having published numerous articles and a book about gelato production techniques and frozen desserts. He has owned Gelateria Perrucci in Cerignola (Foggia, Italy) since 1961 and has a great experience in soft gelato. He has worked with Carpigiani equipment since 1973. He graduated in Gelato Science and Technique in Bruxelles. He is a great professional, competent and accurate. Makoto has Japanese origins. She started her professional experience in the laboratory of a famous gelato shop in Rome. After the experience as a teacher at Carpigiani Gelato University Japan, she has started working at Carpigiani Gelato Lab, Carpigiani's gelato shop, where she is in charge as Managing Director. Graduated at the University of Venice, Italy, with distinction, he is architect, interior designer and designer. 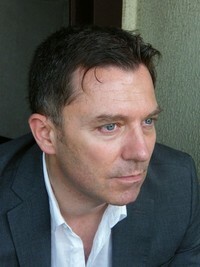 He deals with the international retail industry at highest levels and brought about lots of works throughout the world. He is architect and consultant for many leading companies in the furnishing sector, in technological equipment for bars and in non food contract. Passionate gelato chef, he’s handling the family’s gelato laboratory since more than 15 years. Always in constant updating, he’s managing his two gelato shops in the historic city of Perugia. Palmiro Bruschi starts his career in the gelato world thanks to his family’s gelato shop, in the ancient town of Sansepolcro, in Tuscany. He improves his art thanks to the best italian gelato maestros, for example the great Fulvio Scolari. He works in many renowned gelato and pastry academy, as Arte Dolce, and he gained a value certificate at the famous Cast Alimenti in Brescia. Dynamic, resourceful and always ready to start new adventures, in his career Palmiro Bruschi meets many professionals of the gastronomic world and the international jet set. In 1994 he wins the first place at the Italian Gelato Championship and from 1997 he’s member of the Italian Gelato Academy. Since 2004 he becomes “Ambassador of Artisanal Gelato in the World”. He works as teacher and consultant in Carpigiani Gelato University since ten years, conducting his job with so much passion in Italy and in the world. Ambassador of Sicilian pastry-making in Italy, Roberto has gained his fieldwork experience, anyway, as he has run his own pastry-shop in Caltanissetta since 1975. In the last few years he has worked with primary confectionery companies and obtained outstanding success. Due to his wide experience, he is a member of the jury in many national competitions. He has collaborated with Carpigiani since 2005..
Stefano Tarquinio is a new generation gelato maker and gelato maestro of Carpigiani Gelato University. He is very passionate about his work and is an expert on Italy’s gastronomic heritage. He started at a young age with his own gelato shop and in a few years he became very famous in Bologna for his high-quality gelato. 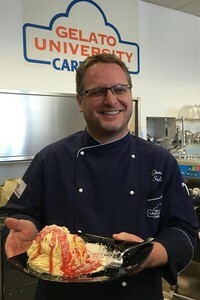 He started teaching at Carpigiani Gelato University soon after, enriching his experience with several international consultations, courses and demonstrations. All the students love Stefano Tarquinio’s high-level teaching method: always passionate, engaging and very efficient. After her studies at the cooking school, Margot graduated at ALMA, The International School of Italian Cuisine, specializing in pastry and improving her skills. She later worked at many hotels and restaurants’ kitchens including the Michelin 3-star Ristorante Da Vittorio, where she focused on pastry. Her passion and her curiosity for new experiences led her to Carpigiani Gelato University, where she is now working as students’ tutor for the internship at Carpigiani Gelateria, the last week of the Complete Course “Become a Gelatiere”. 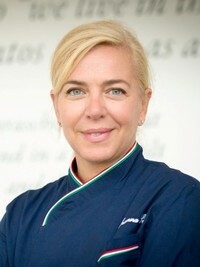 In addition she is responsible for conducting the production for the special events organized by Gelateria Carpigiani.